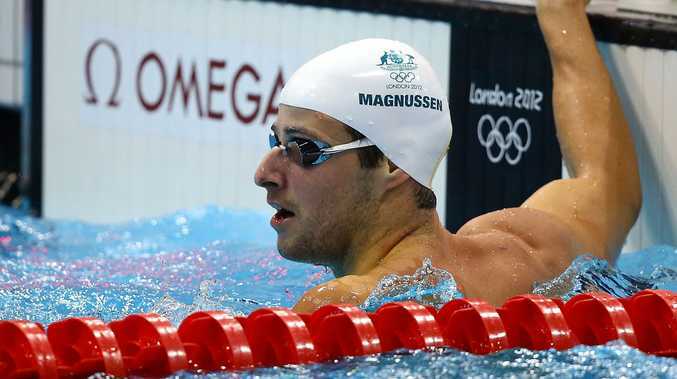 AUSTRALIA'S James Magnussen has put behind him his disappointing 4x100m freestyle relay swim to qualify for the men's 100m freestyle semi-finals at the Aquatic Centre. Magnussen finished his heat second in a time of 48:38 seconds behind winner Sebastiaan Verschuren of the Netherlands, to qualify fourth fastest overall. The 21-year-old looked set to record a confidence-boosting win but was beaten to the wall by the fast-finishing Verschuren.